North Bay Women’s March, KRCB North Bay Public Media, 1/22/18, story and photos by Stacey Dennick. Rains Bring Relief, Worry, KRCB North Bay Public Media, 1/8/18, story and photo by Stacey Dennick. Spending Christmas in a FEMA Trailer, KRCB North Bay Public Media, 12/27/17, story and photos by Stacey Dennick. 2017 Emerald Cup Celebrates Medicinal Pot KRCB North Bay Public Media, Radio broadcast on Morning Edition & All Things Considered, 12/13/17, story and photos by Stacey Dennick. In addition to web articles and social media content, I also write scripts, non-fiction, magazine articles and fiction. 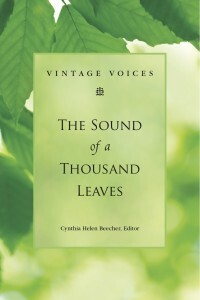 “Tall Trouble” Vintage Voices: The Sound of A Thousand Leaves, September, 2011. A bit of humorous memoir. “Thanksgiving Om,” North Bay Bohemian, Open Mic, 11/24/10. “Store to Store Sales,” Vintage Voices: Words Pouring Out, September, 2010. “Bug Dance” Tiny-Lights.com, Flash in the Pan. 9/09. “Lessons,” More Bridges, Published by Larson/Pamoda, 2007. Memoir. “3Prong.com Expands Avid’s Capabilities,” Videography Magazine. Techno-geek video editing software review. “People Who Ride: Amber Ramos” Bike Magazine. Film/Tape World Magazine, San Francisco. 25 articles including four cover stories, published between 1999 and 2004. “Modern Abstract Painter Suzanne Edminster” A short video profile. “Art at the Source” marketing videos. “Rip the Page! Adventures in Creative Writing” Book Promo video for author Karen Benke. “ISO 9001 Certification” for Trinchero Family Estates winery. “Stars of Tomorrow: San Francisco Ballet School” for the San Francisco Ballet. “The Making of Lunar: Silver Star Story” & “The Making of Lunar II: Eternal Blue” documentaries for Sony PlayStation. “In the Lab II” for Microsoft Corporation. “Baring Witness” documents a unique form of political activism.